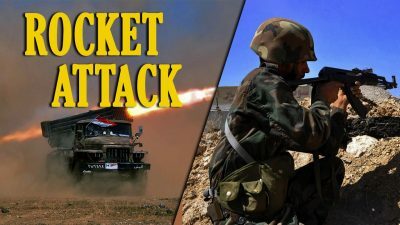 On March 6, the Syrian Arab Army (SAA) delivered a massive rocket strike on positions of the Turkistan Islamic Party (TIP) in Jisr al-Shughur in the northwestern part of Idlib province. This was the first such strike in this area in five months. The strike reportedly came in response to the recent increase in militant shelling of government-held areas in northwestern Hama, which has been causing civilian casualties on a regular basis. Separately, the SAA carried out a rocket strike on the headquarters of Jaysh al-Izza near the town of Khan Shaykhun in southern Idlib. The HQ was fully destroyed and 7 militants, including the group’s prominent field commander Majid al-Said, were eliminated. Jaysh al-Izza is one of the key allies of Hayat Tahrir al-Sham (formerly Jabhat al-Nusra, the Syrian branch of al-Qaeda) in northern Hama and southern Idlib. Despite this, mainstream media outlets describe it as a moderate opposition group. At various different times during the war, Jaysh al-Izza was receiving supports from the US, Saudi Arabia and Turkey. The SAA renewed its efforts aimed at destroying militant infrastructure within the Idlib de-escalation zone just recently. This forced decision came as the only effective response to continued violations of the ceasefire regime by Hayat Tahrir al-Sham, Jaysh al-Izza, the TIP and their al-Qaeda-linked allies. Pro-government sources speculate that the SAA may soon launch a limited military operation in the agreed demilitarized zone in order to force radicals to withdraw from it and to put an end to the constant shelling of civilian areas. However, this decision faces multiple diplomatic obstacles. Meanwhile, the so-called de-escalation zone has become the source of another threat – the growing activity of ISIS cells. Hayat Tahrir al-Sham claimed that it had cracked down on an ISIS cell, captured its leader and a weapons depot in the town of Atarib in western Aleppo. The depot was full of assault rifles, remote-controlled improvised explosive devices and other equipment. Last week, an ISIS suicide bomber blew himself up in the city of Idlib killing several Hayat Tahrir al-Sham members. Following the attack, Hayat Tahrir al-Sham executed ten ISIS members on the site of the explosion. Despite this public move, the terrorist group appears to be unable to stop the expansion of ISIS cells within the Idlib zone. One of the key reasons for this is that the groups ideologies are similar in multiple aspects. Therefore, Hayat Tahrir al-Sham members not satisfied with the lack of large-scale operations against the SAA could opt to join ISIS. Members of local pro-government militia prevented an infiltration attempt by a group of ISIS members near the town of Taraba in northern al-Suwayda. They opened fire on a unit of the terrorist group conducting reconnaissance in the area, but were not able to eliminate it. In the second part of 2018, the SAA conducted a military operation against ISIS cells operating in the desert area on the administrative border between al-Suwayda and Damascus. Despite this, ISIS cells started resurfacing in the area in February 2019. Local sources say that ISIS members are infiltrating the area through the US-occupied zone of al-Tanf. The US-backed Syrian Democratic Forces continue their operation against ISIS in the Euphrates Valley. The ISIS resistance has been mostly overcome and terrorists are now surrendering to the US-backed force.